Nicola is a Partner in Brown Rudnick’s Corporate and Employment Practice Groups. Nicola advises employers and senior executives of banks, private equity houses, hedge funds, broker-dealers and family offices on contentious and non-contentious employment law issues. 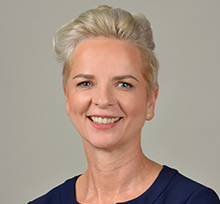 Prior to joining Brown Rudnick, Nicola was a partner and head of the European employment practice at King & Wood Mallesons (formerly SJ Berwin) for over 15 years. Chambers & Partners UK 2019 ranks Nicola in Band 3 in Employment: Senior Executive. Nicola is "very empathetic from the outset and is very experienced, which was reassuring and encouraging." Chambers & Partners UK 2018 ranks Nicola in Band 3 in Employment: Senior Executive. Nicola "is very attentive, always makes herself available and has a straightforward and pragmatic approach." She advises both senior executives and employers on employment law matters. Chambers and Partners UK ranks Nicola in Employment: Senior Executive and clients assert that she is "assured, with the ability to help clients feel relaxed and in control." Nicola is ranked in Best Lawyers and rated by Super Lawyers. Selected for inclusion in the Thomson Reuters' London Super Lawyers List 2013 - 2015. The list recognises solicitors who have distinguished themselves in their legal practice and was published in various publications (including in a supplement to both the Telegraph magazine and the Law Society Gazette). It is limited to only 5% of solicitors within London.